Plagiarism is using, without acknowledgement, someone else?s ideas or work.You must both delineate (i.e., separate and identify) the copied text from your text and give credit to (i.e., cite the source) the source of the copied text to avoid accusations of plagiarism. Plagiarism is considered fraud and has potentially harsh consequences including loss of job, loss of reputation, and the assignation of reduced or failing grade in a course.Institutions that are prepared to prevent or handle plagiarism benefit from higher levels of academic honesty. This section contains best practices and advice for building academic integrity policies to support your education community.If you submit an assignment that contains work that is not your own, without clearly indicating this to the marker (fully acknowledging your sources using the rules of the specified academic referencing style), you are committing ?plagiarism? and this is academic misconduct.It is important to understand that if you do not acknowledge fully the sources that have contributed to and informed your work you are misrepresenting your knowledge and abilities. 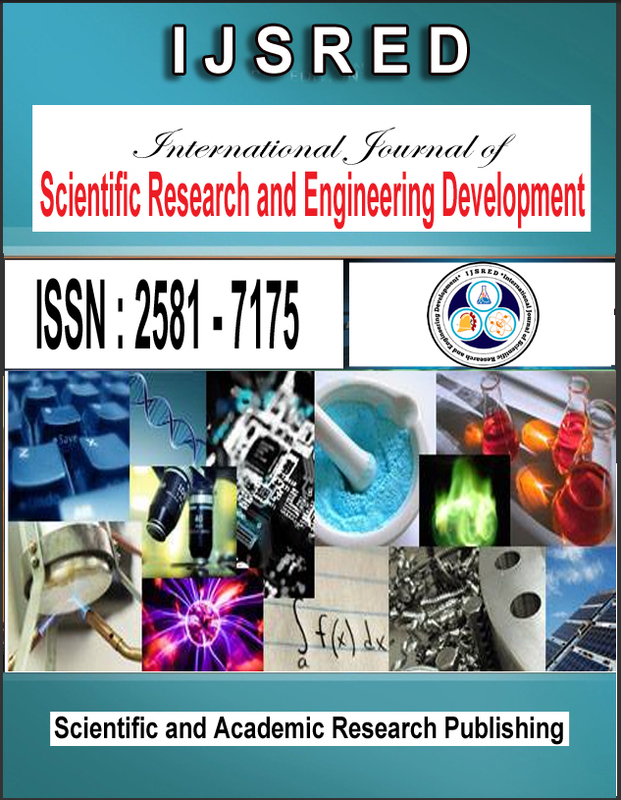 International Journal of Scientific Research and Engineering Development, is a peer reviewed indexed monthly online journal having ISSN: 2581-7175.All manuscripts submitted for publication to IJSRED are cross-checked for Plagiarism / Similarity Index using Turnitin / PlagScan software. *submitting someone else's work as part of your own without identifying clearly who did the work; for example, buying or commissioning work via professional agencies such as ?essay banks? or ?paper mills?, or not attributing research contributed by others to a joint project. Direct plagiarism is the word-for-word transcription of a section of someone else?s work, without attribution and without quotation marks. Accidental plagiarism occurs when a person neglects to cite their sources, or misquotes their sources, or unintentionally paraphrases a source by using similar words, groups of words, and/or sentence structure without attribution. Self-plagiarism occurs when a student submits his or her own previous work, or mixes parts of previous works, without permission from all professors involved. Mosaic Plagiarism occurs when a student borrows phrases from a source without using quotation marks, or finds synonyms for the author?s language while keeping to the same general structure and meaning of the original. IJSRED respects intellectual property and aims at protecting and promoting original work of its authors. Manuscripts containing plagiarized material are against the standards of quality, research and innovation. Hence, all authors submitting articles to IJSRED is expected to abide ethical standards and abstain from plagiarism, in any form. In case, an author is found to be suspected of plagiarism in a submitted or published manuscript then, IJSRED shall contact the author (s) to submit his / her (their) explanation within two weeks, which may be forwarded to the Fact Finding Committee (FFC) constituted for the purpose, for further course of action. 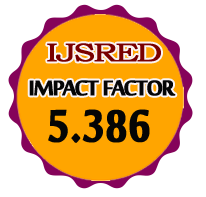 If IJSRED does not receive any response from the author within the stipulated time period, then the Director / Dean / Head of the concerned College, Institution or Organization or the Vice Chancellor of the University to which the author is affiliated shall be contacted to take strict action against the concerned author. *IJSRED editorial office shall immediately contact the Director / Dean / Head of the concerned College, Institution or Organization or the Vice Chancellor of the University to which the author(s) is (are) affiliated to take strict action against the concerned author. *IJSRED shall remove the PDF copy of the published manuscript from the website and disable all links to full text article. The term Plagiarized Manuscript shall be appended to the published manuscript title. *IJSRED may also display the list of such authors along with their full contact details on the IJSRED website. *Any other course of action, as recommended by the Committee or as deemed fit for the instant case or as decided by the Editorial Board, from time to time.